FairLifts reserves helicopter aerial application in Vermont of pesticides, fungicides, and herbicides. We possess an outstanding reputation in providing high-quality services such as crop spraying, crop dusting, pest control, weed control, and frost prevention and treatment. The result is a highly improved crop production. At FairLifts, you can get an advantage over ground vehicles. Rotary equipment ensures larger coverage of your crop canopy while providing greater flexibility. We have installed GPS-controlled systems in our offshore helicopters. Besides offering aerial application in Vermont, we aim to expand our reach throughout the globe by applying the latest aerial application technologies. Search a bit about Vermont and you will notice its forestry and agriculture dominates the state. The 7,000 farms spread across Vermont contribute over $280 million to the state’s GDP. The number of farms larger than 1000 acres is increasing in Vermont. 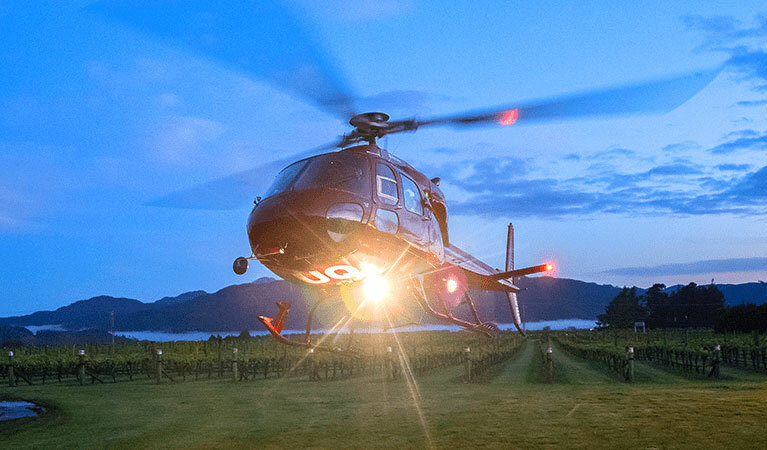 This means that the most grown crops in Vermont such as apples, sweet corn, hay, oats, and potatoes require specialized aerial helicopter treatment. This is why aerial fertilizing and seeding, crop dusting, pest control, weed control, and frost prevention are the concepts that are making waves in the farms of Vermont. Depending on your specific need, we arrange a professional helicopter pilot who does the crop spraying on your farm. Not sure if aerial application is feasible for dry or wet grounds? Worry not because local operator’s aerial applications ensure superior penetration on both dry and wet grounds. Besides, aerially applied fungicides effectively work through controlling various crop diseases that may lead to crop damage while improving the stalk strength of your crops so you can get stronger and healthier plants. It’s surprising how insect infestation may change every year, depending on the wind directions and weather conditions. At FairLifts, we are aware of the fact that even the small mosquitoes can ruin the entire crop production. That’s why we coordinate helicopter support for larvicides as well as adulticides to provide an effective pesticide treatment to your crops. While spraying, trained helicopter pilots responsibly take care of the surrounding environment. Not all weeds can be controlled on a ground level. The presence of missed weeds may even hinder crop growth in the long run because the unwanted vegetation takes away the nutrients that are much needed by your crops for optimum growth. So, why take those nutrients away from your crops when you can choose to protect them? 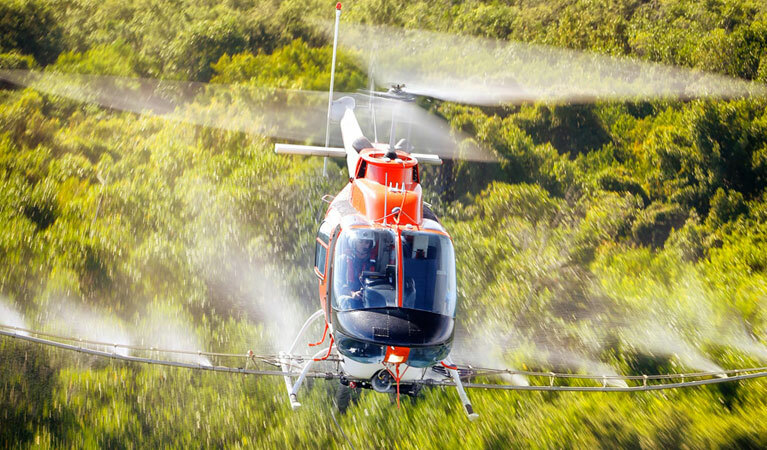 Helicopter spraying can guard your precious crops against those weeds. With aerial application in Vermont, local vendors make this possible. Nothing can be worse than a quick and unexpected drop in temperature leading to severe crop damage. Thankfully, frost prevention is now possible in Vermont with FairLifts aerial application. 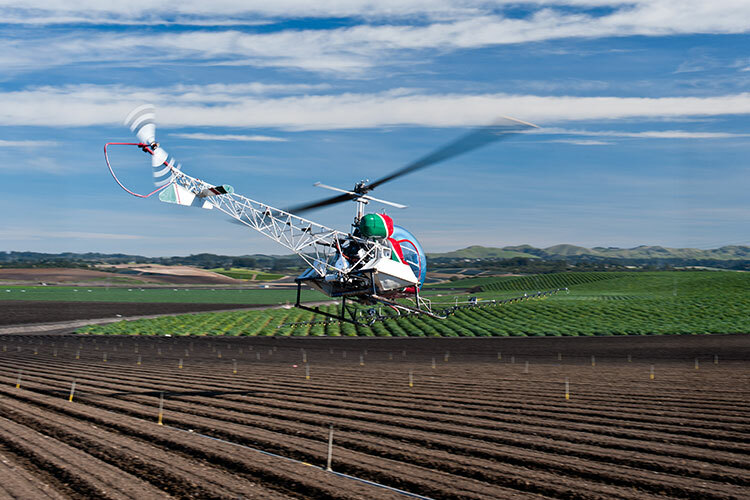 Our aerial helicopters can counteract the destructive frost by defrosting them with the agriculture downwash while helping you save thousands of dollars. Continuous spraying also results in giving maximum protection to your crops in the colder months when the goal is to survive the entire farms of Vermont. At FairLifts, we strive to arrange environmentally-friendly crop dusting and spraying services in Vermont. We are proud of our partnership with experienced operators and pilots who ensure that each of our customers is satisfied with their crop growth. Let us know your specific need so we can suggest the aerial application service that enhances your crops’ growth. We are available seven days a week.